Back in July, Boots said it was "truly sorry" after its chief pharmacist Marc Donovan said the company might "incentivise inappropriate use" of emergency contraception by lowering its price. A later promise to cut the cost of the product was later broken. We’ve listened to you about this weekend’s newspaper promotion. We now know we were wrong to do this - we’re truly sorry and we won’t ever do it again. Thanks for telling us what you really think and we apologise if we have let you down on this one. Lesson learnt. Someone who also said sorry like they meant it was Google's EMEA boss, in March, as the row over ads appearing next to extremist videos on YouTube escalated. Woke beauty brand Dove apologised 'deeply and sincerely' on Twitter after a hugely controversial Facebook campaign that showed a black woman using its body lotion, then becoming white after removing her jumper. Stop Funding Hate claimed another notable scalp earlier this month, this time forcing Pizza Hut to apologise for a similar promotion, this time in the Sun. 'We apologise for any offence caused,' the brand said. 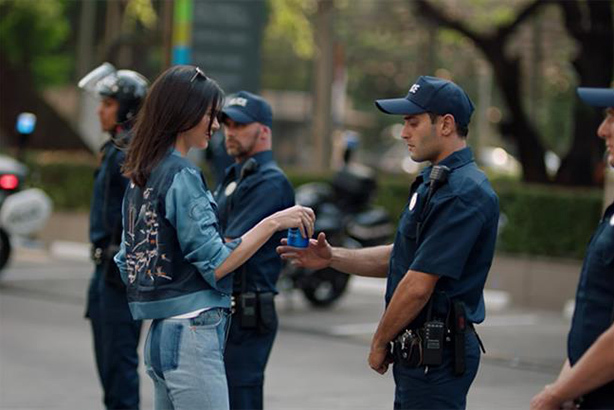 Pepsi actually apologised twice for the same offence in April, after being forced to can its Kendall Jenner ad following a huge online backlash. Agency-land was quick to chip in with its opinions on the debacle. The burger n fries firm went down a similar 'sorry for any offence caused' road in May after pulling its unpopular 'dead dad' film, following yet another social media backlash - and vowed to learn lessons. "It made me so sad," said Zoella in November about her £50 (12-door) advent calendar that prompted 'rip-off' accusations. She went on to say "sorry that so many of you feel let down by this product" – but it was the retailer's fault, apparently. That couldn't save her from being named our Flop of the Month, mind. The carrier's CEO Oscar Munoz managed to apologise following the now infamous incident that saw a passenger forcibly ejected from an over-sold flight but only for "having to re-accommodate these customers" – a 'sorry' that caused more damage than it repaired. The use of the phrase 'reaching out' in the same statement was almost as unforgiveable. Uber's new CEO didn't actually use the s-word, but said the firm would 'learn from its mistakes'. Mistakes that happened before he started. He was accused (or praised, more accurately) for having 'thrown [predecessor[ Kalanick under the limo' with that statement. Finally, no 2017 list would be complete without a mention of Bell Pottinger, which issued a "full, unequivocal, and absolute apology" over its work with contoversial client Oakbay. Not that it did them much good.